My name is Jen and like many of you here, acne used to be a big aspect of my life. I tried endless dermatological treatments, pills, OTC products, creams, weird diets (including the apple diet, which is a waste of time). It got to a point where I didn't know what else to do. I felt I had tried everything and nothing gave me permanent results. I began to learn how the gut and skin are directly connected and how a compromised digestive system can be the cause of acne and many other skin disorders. Instead of applying endless lotions on my face and taking pill after pill I decided to make changes in my nutrition. I began to heal from the inside out. 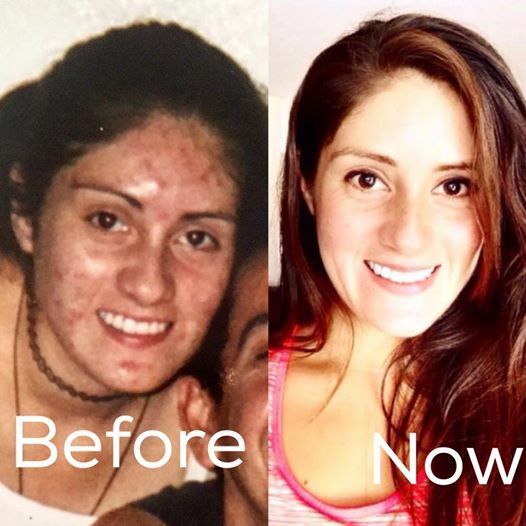 I have been acne free for over 6 years, without any medicine or toxins. Acne is simply a reaction of something happening inside. It is your body letting you know that something needs your attention. I joined acne.org as an acne sufferer and I am still here to help whoever is looking for permanent solutions to his/her acne problem.